As a student pastor you see students come and go all the time. One minute a student seems to be living for the Lord and the next minute they seem to have lost all interest. 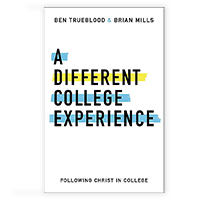 A student who seemed to be on the right track when they were young begins to struggle spiritually as they enter high school or as they leave for college. 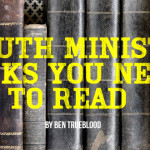 To put it lightly, this is a frustrating part of student ministry and a fear of student pastors. Equipping your students theologically and doctrinally helps them assemble the pieces of their life based on the right starting point: God. We have to help them see the magnitude of God and allow Him to guide them through the rest of the pieces of their lives. When we lead them to frame their lives with behavioral modification and spiritual checklists we are setting them up to walk away. 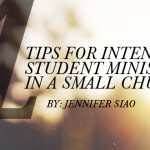 Students need to see that the starting point is God Himself. That God is worth worshipping, worth the glory we are to give, and worth our entire lives. Exposing students theology and doctrine leads them to an iceberg moment with God where they realize there is so much more below the surface. As students begin to build a frame of theology and doctrine it will provide the support they need to filter through the many decisions of life in a God-honoring way. As they see more of who God is and how He interacts with them, they develop an intense love for Him that directly impacts their lifestyle. 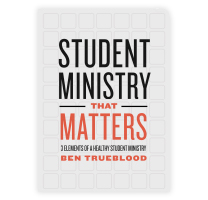 As a student pastor you want students in your ministry to share the Gospel, make disciples, and live a holy life. Some common ways to motivate students to do that is to constantly talk about it, guilt them into it, or explain the benefits of living that way. These are temporary approaches that result in short term discipleship. Another way would be to introduce them to Jesus, who He is, the depth of what He has done for them, and allow their lifestyle to be shaped by their growing love for Him. It develops a love for God’s Word. Equipping students theologically and doctrinally, if done correctly, will always lead them to God’s Word. Students will begin to understand that they know God through His Word. As they know God more, their love for Him grows, as does their love for His Word. 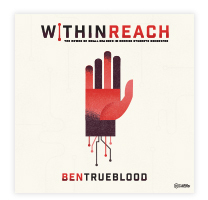 Equipping students theologically and doctrinally will lead them to worship and obey God. Many times in discipleship people begin by building the flesh of a student without giving any attention to the bone structure that supports that flesh. Your students need a backbone. The reality is that they are going to construct one. It will either be God or something of their own creation. We have a great responsibility to help them build a backbone that will last, a frame that will allow them to assemble the rest of their lives in a way that honors God. 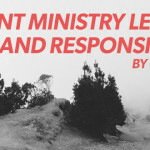 Equip your students theologically, not to fill their heads with knowledge, but to construct a Godly backbone that results in a life of action lived as a tool of God’s glory.